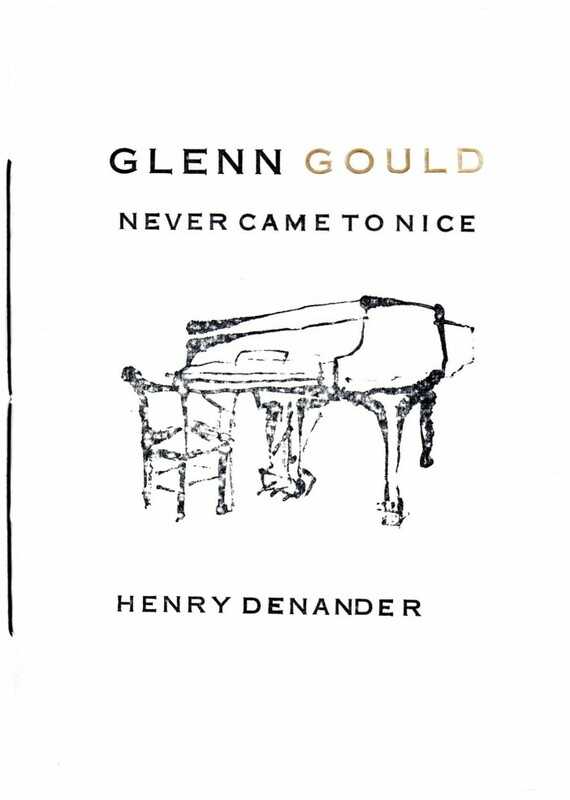 This excellently crafted short story is focussed on the eccentric Canadian performer Glenn Gould (1932-1982) who failed to show up for a concert of newly discovered Optettes by Bach at the Nice Concert Hall. It is up to Mr. Blue, presumably Denander, and his friend Sakis, to work out what went wrong. The short story was first published by Nerve Cowboy. 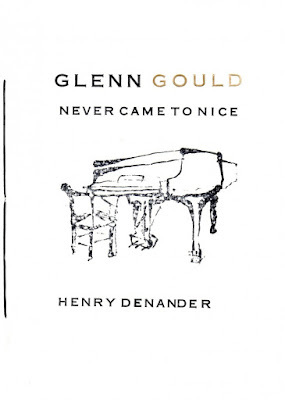 The cover image of a piano is produced from an ink drawing by Denander. The pages are hand-sewn and the cover is letterpressed using handset Spartan typeface and a 16 gauge magnesium printing plate. This edition is limited to 150 copies. A long-awaited new collection of Henry Denander’s poetry is forthcoming from Pig Ear Press in 2016.